In 1985 became a student at Sverdlovsk Institute of Architecture (now – Urals State Academy of Architecture and Arts, Ekaterinburg). Holds a BSc in Design. In 1991 was invited for practice by Professor Luigi Colani of Colani Design Bern AG, Switzerland. In 1993 won a scholarship at Art Center of Design, Switzerland. Holds a BSc in Transportation Design. 1994- 2000 – Interiors Designer, CITROEN, Paris, France. Created interiors for the most commercially successful models: C3, C4 Coupe, C5 and C6. 2000 - 2007 год – Senior Interiors Designer, TOYOTA Europe Design Development, Nice, France. Participated in development of the most popular models: Yaris, Avensis, Auris, Corolla, RAV4, Celica and IQ, Managed development of the perspective models for years 2020-2025. 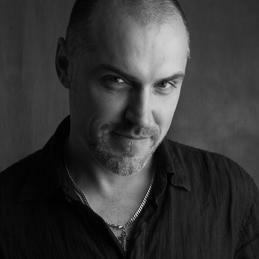 From 2007 года – President of the Centre of Industrial Design and Innovation ASTRAROSSA, Moscow, Russia. Projects included: Restyling of GAZ SIBER-VOLGA, livery design and rolling out of Sukhoi SUPERJET-100, restyling and creating new cabin design for the whole product line-up of KAMAZ, design of interior of KAMOV-62 helicopter, design concept for the full size spaceship FEDERATION, Sochi 2014 Winter Olympic Games - Olympic Torch Design. At the moment - CEO High Complexity Prototyping Centre KINETICA- NUST MISiS. Teaches transportation design in leading colleges and art schools in USA, China, Europe and Russia.